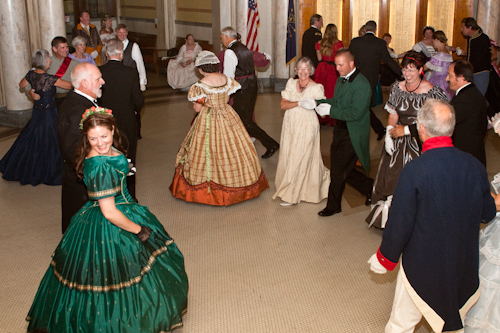 If you wandered into the Hendricks County Courthouse Rotunda on Saturday evening, you may have thought you’d landed back in the 19th century. 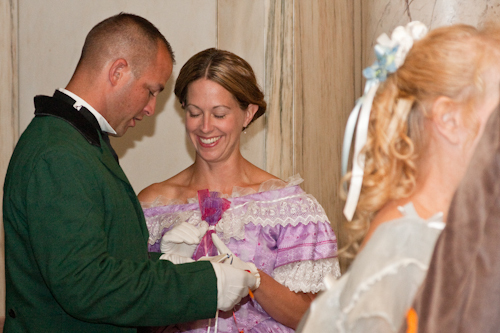 Men in Union and Confederate attire walked proudly through the room, and ladies dressed to the nines in floor-length gowns glided beside them. 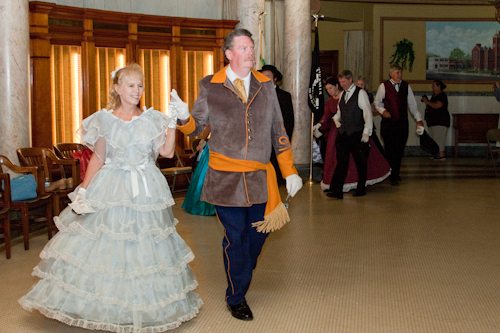 For this year’s second-annual Civil War Heritage Days in Danville, organizers added a Grand Ball to Saturday evening’s schedule. 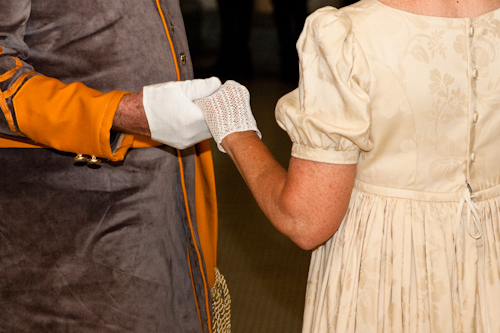 Many of last year’s participating re-enactors requested it, and they showed up in style! 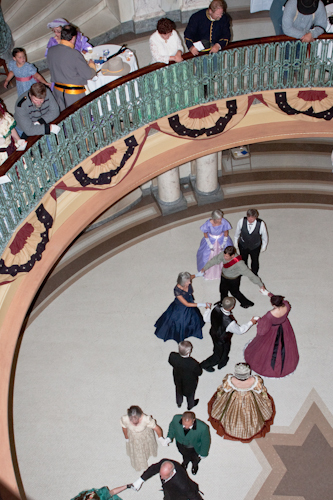 The Grand Ball was open to anyone who wanted to participate. A free dance workshop was held the prior evening to allow beginners to get a taste of the dances before the actual event. 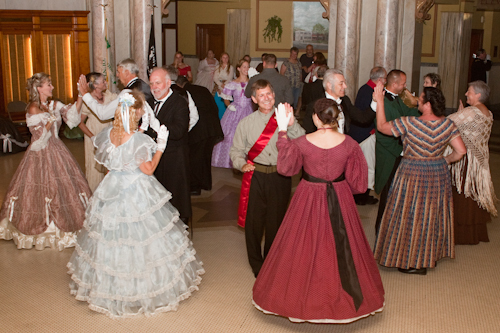 Waltzes, reels, and progressive dances blended for a magical evening unlike any we have in 2012. Dance Mistress Sue Pfeiffer from Fort Wayne called the dances, and a live band, Hogeye Navvy, stepped outside their normal Celtic style to play classic period music. 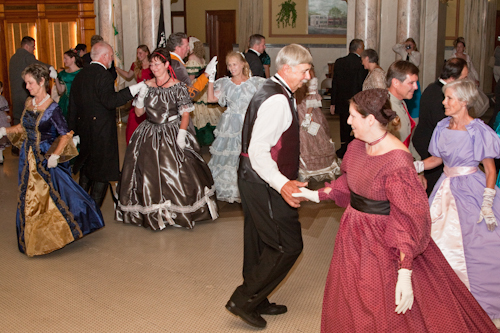 Though many balls during the Civil War lasted until dawn and concluded with a group breakfast, these modern dancers were home before the clock struck twelve. 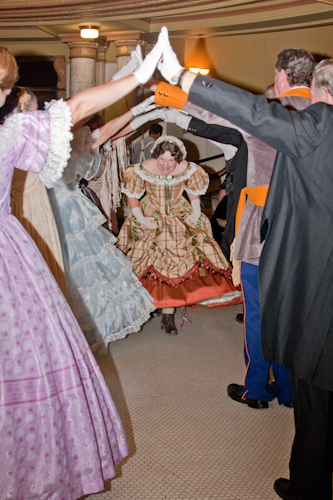 Read more about how participants prepared for the ball in last week&apos;s preview post.